People who know me know that I adore tea. It’s kind of a big deal. 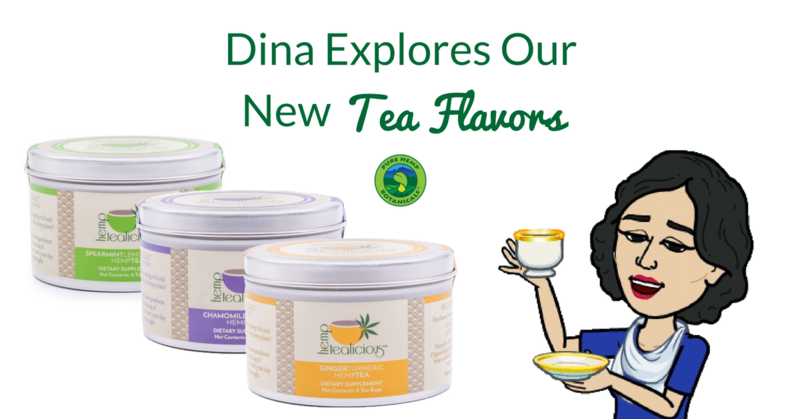 When our innovative team came up with 3 new flavors, I couldn’t wait to get my hands on them! They just arrived, and I couldn’t wait to share the experience with you! Tea comes in so many forms these days, from exquisitely delicate traditional green teas to spicy chai lattes. 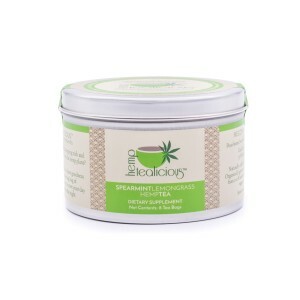 Our Hemptealicious Hemp Tea is the next evolution of this delicious beverage. Blending flavors is only part of the process. Each tea we’ve designed is made to taste delicious, and offer serious health benefits. Being the committed team member that I am, I volunteered to try each of our new flavors, strictly for quality control purposes, of course. I was blown away, and want to tell you all about it! This is the first of the new flavors that I tried. Oh my gosh. As soon as I opened the tin, I was enveloped in the sweet, refreshing scent of spearmint. 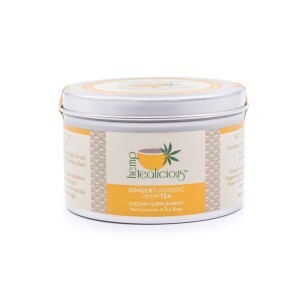 As I brewed the tea, the scent deepened with the hemp, and softened with the lemongrass. Drinking it was a pure pleasure. The bright, mellow notes of the lemongrass merged effortlessly into the cool spearmint, with the hemp adding a balanced earthiness to the blend. Heaven. I drank a cup of this dreamy tea before bed, after a particularly difficult day. The flavor was so soothing, and even just breathing in the steam was an aromatherapy relaxation experience all on its own. The chamomile and lavender were the perfect soft notes to complement the hemp, which tasted almost like a green tea. The lavender and chamomile worked their sleepy magic before I even felt the hemp relax my mind and my muscles. This was a perfect pairing, and will become a new must-have for evenings where I need a little extra help to slow down and relax. I slept better that night than I have in months! This tea is a POWERHOUSE of amazing ingredients. Ginger has long been touted as an incredible wellness tool, studied for its ability to help with nausea, soreness, digestion and much more. Turmeric is another medicinal root filled with nutrition. Turmeric is being studied for its potential with its powerful anti-inflammatory superpowers. Add these with hemp and you have a supercharged wellness tea! I’m going to save this one for when I feel under the weather, had a little bit too much to drink or just need to be on top of my game! Which flavor is your favorite? What do you want to see next? Tell us all about it in the comments!